For the rapid treatment of fleas on cats and dogs. 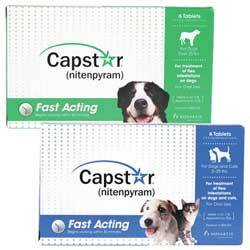 An oral tablet for control of adult fleas in cats and dogs. Dogs over 57 kg are given an appropriate combination of tablets.